We all know that patios are great for entertaining, but many of us forget they can also add to the festive feel of your home. 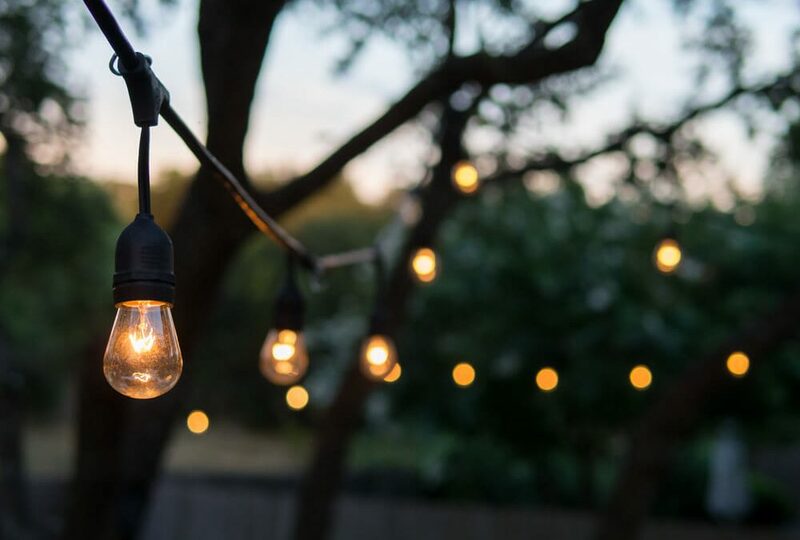 A few decorations and some lighting can really freshen up your patio and bring it to life (just in time for all your family and friends to arrive!). So where do you start? Well, November is the perfect time to start thinking about Christmas and preparing your patio. In Launceston, it’s not too hot yet so you can do all the hard cleaning work before the weather really warms up. Follow these simple steps to have your patio ready for the festive season. Does Your Patio Need a Clean? After a long cold winter in Launceston, your patio probably needs a good scrub. So get out that broom and sweep away any leaves, debris or cobwebs. Once this has been down you can wash the patio down with water so it looks like new again! You will be surprised how even just a few lights can brighten up your patio and make it feel festive. Try wrapping fairy lights around patio posts or shrubs, or follow the latest trend and place tealights in jam jars on your outdoor table. Alternatively, novelty Christmas character lights are always popular with children! Plants, decorations and soft furnishings are just some of the ways you can brighten up your patio. A lot of our clients are putting up a second Christmas tree on their patio to really give it that Christmassy feel. It allows you to add decorations in any colour scheme you like and also makes a great view from indoors. Potted plants and flowers (think holly, poinsettia, Christmas bells and Christmas bush) are another great way to add colour to your outdoor area, or you could freshen up your outdoor furniture with festive themed cushions. Contact Just Pave. We are your local Launceston paving experts!